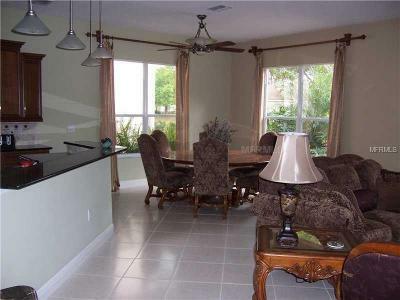 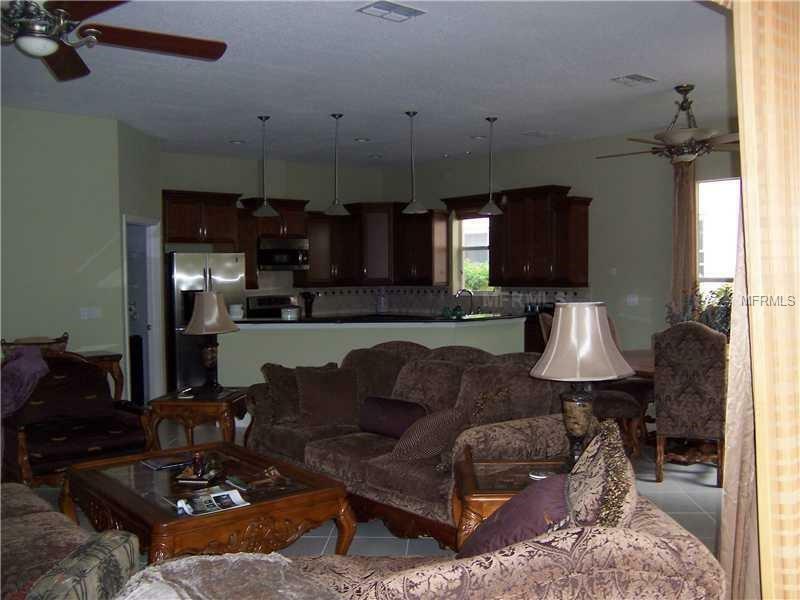 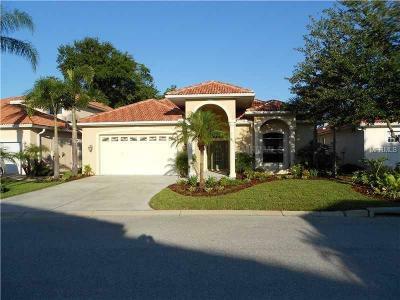 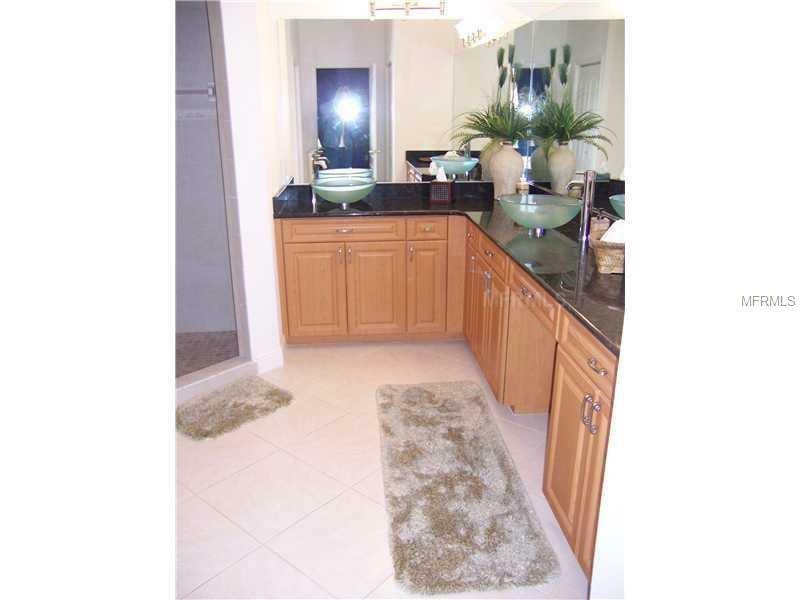 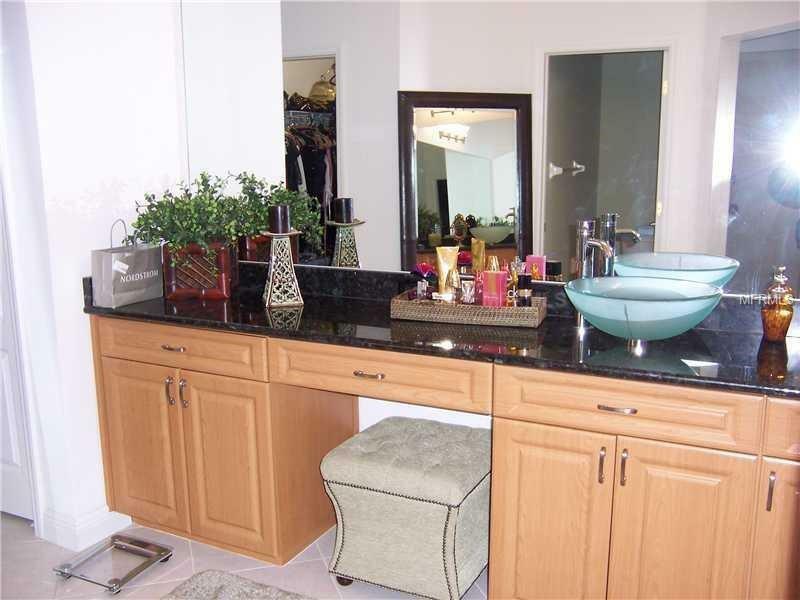 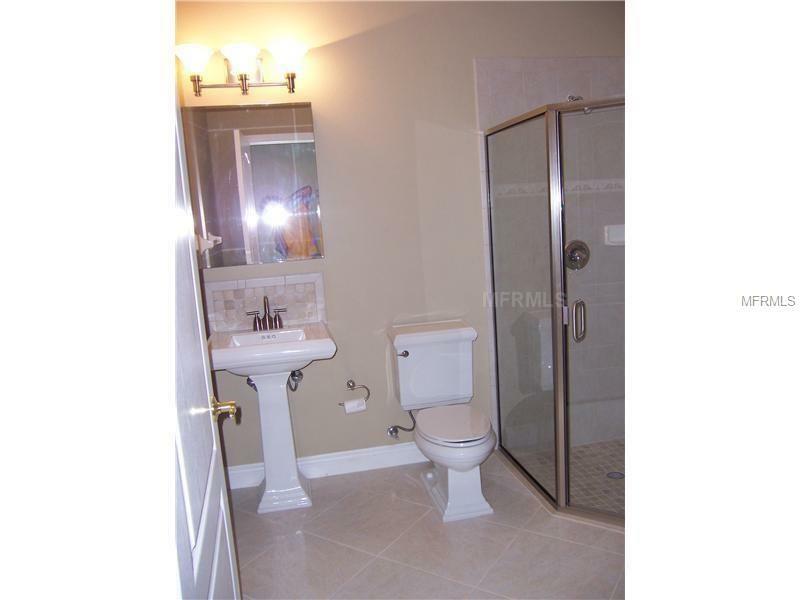 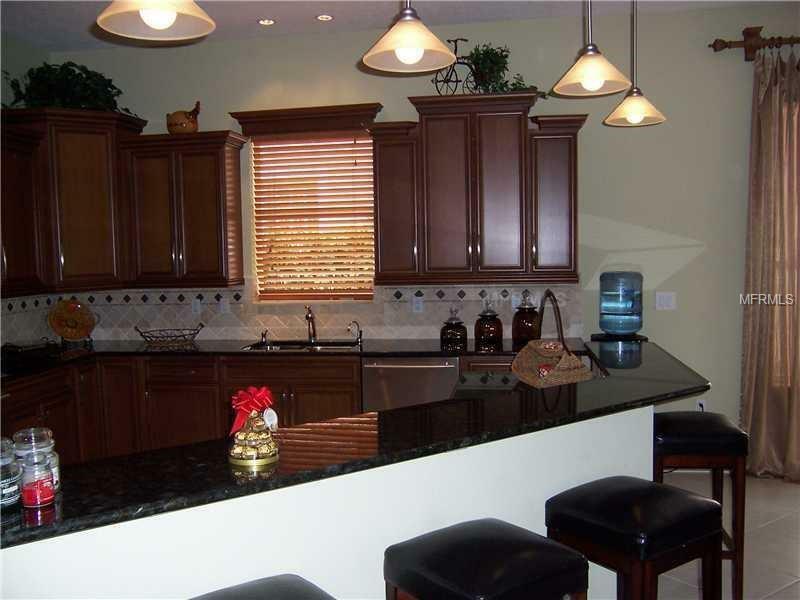 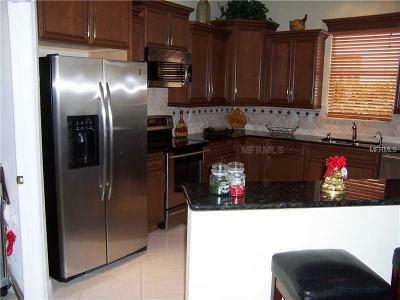 This lovely home is in a gated community with 3BRs 3 baths with a large modern kitchen with granite countertops, stainless steel appliances and ceramic tile flooring thruout. The Great room encompasses the kitchen, dining room and living room. 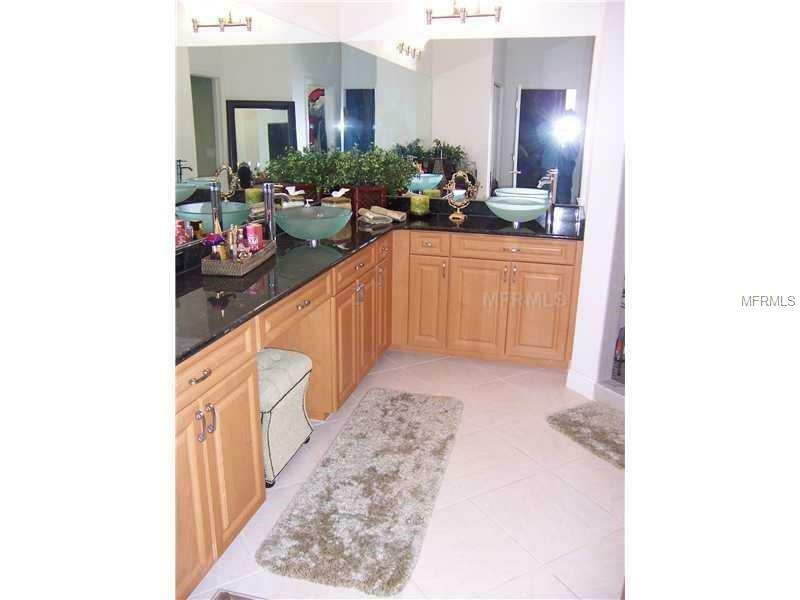 There is a large pantry off the kichen and a separate utility room with washer and dryer. 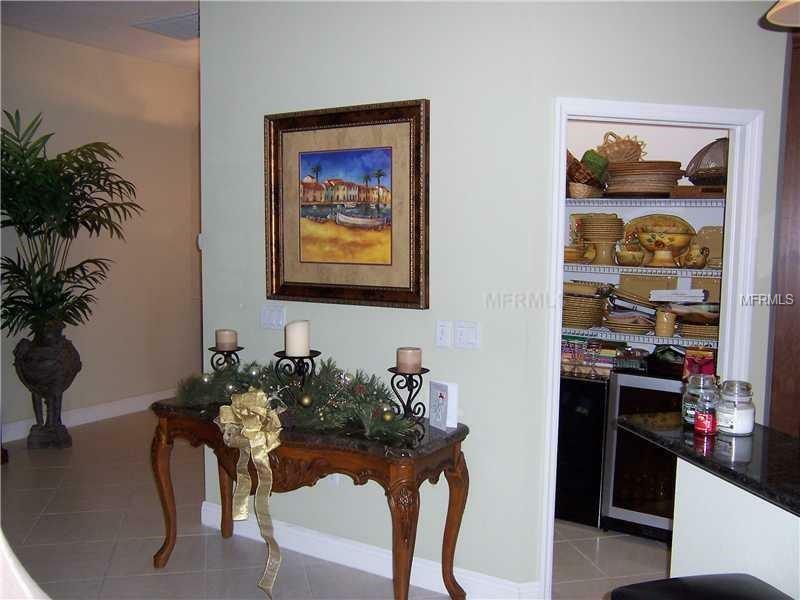 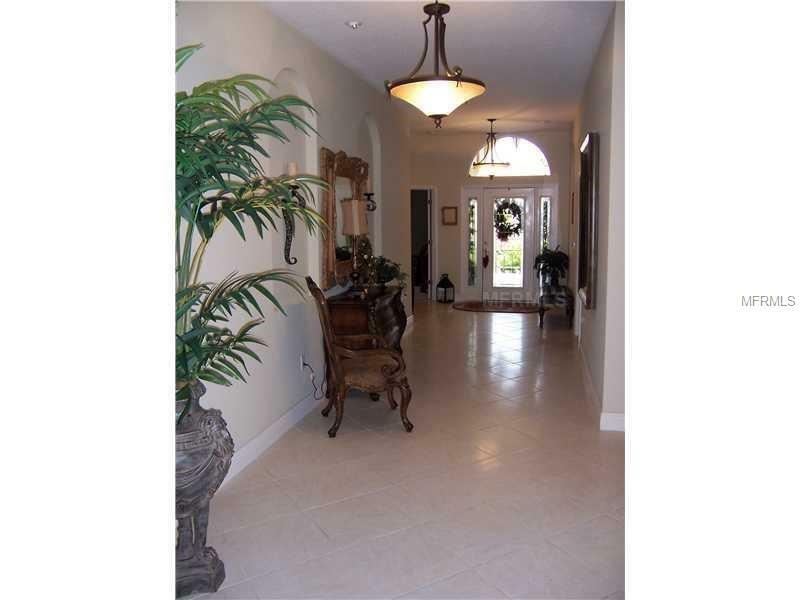 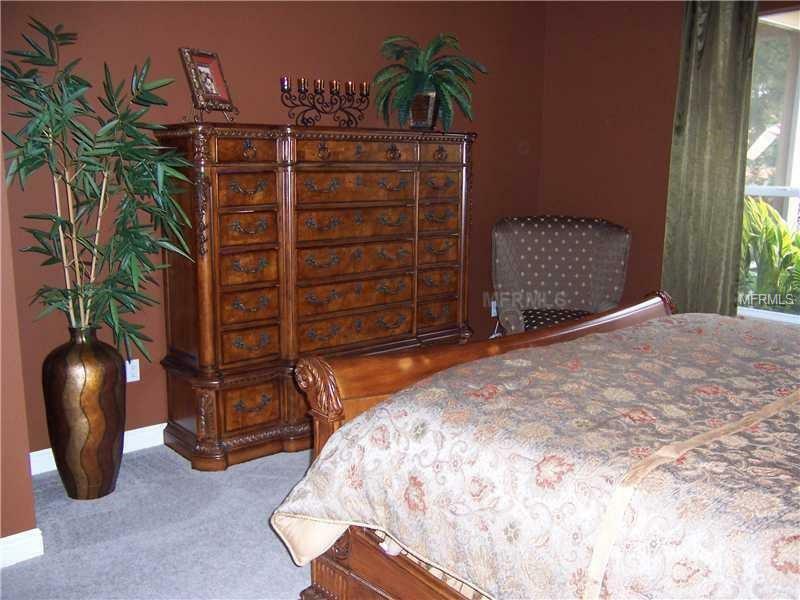 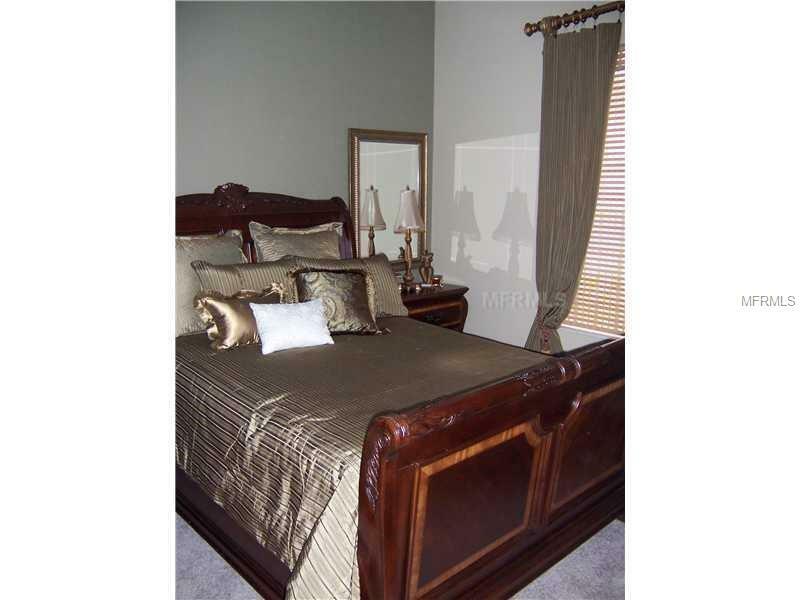 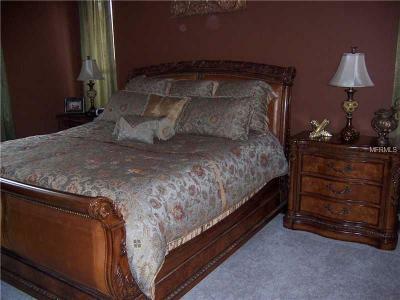 There is a large, long entry foyer with art alcoves to show off your treasures. 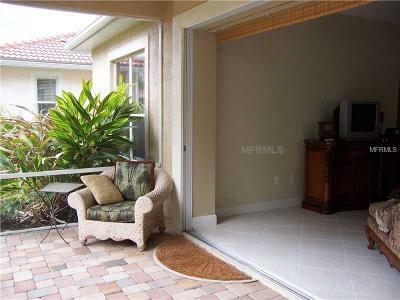 There are triple sliding doors into the wall leading to the screen lanai giving you easy access to the porch. 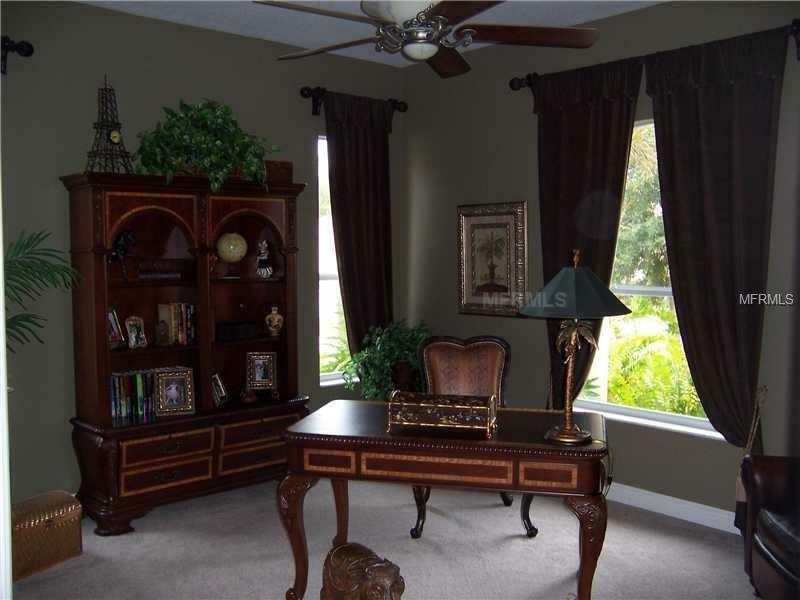 All window rods and drapes stay.